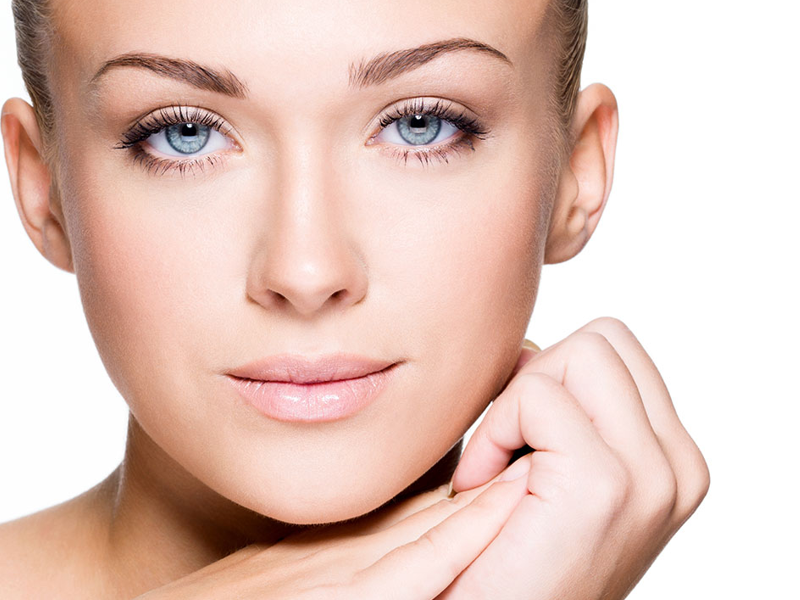 A minimized facelift or mini-lift can offer younger patients youthfulness and freshness. This reduced, modified, less extensive lift offers much of the rejuvenating effects. Mini Lift is always designed to the patient’s specific needs, and is focused primarily on any trouble spots. In this manner the specific areas of the eyebrows, neck, jowls, and mid-face or nasolabial folds can be addressed. The most frequent and markedly effective mini-lift procedure is that of the temporal area, rejuvenating the eyes, eyebrows and eyelids. Endoscopic techniques allow lifting and rejuvenation of mild problems using tiny incisions inside the hairline. A talented and inspired plastic surgeon does not allow the procedure to dictate what can and cannot be accomplished. Rather the surgeon should have the skills and aesthetic ability to regulate the procedure to any degree. This then opens up almost limitless possibilities for aesthetic rejuvenation and beautification. As we age, our skin loses tone and begins to sag. However, our skin frequently has a tremendous ability to retract into a more youthful position. Even some relatively young patients prematurely age in the neck because of a laxity of the neck muscle and accumulation of fat in this area. Liposuction can often relieve the neck area of unwanted fat. The combination of liposuction with neck muscle tightening is a procedure indicated for progressed looseness. This outpatient procedure is called platysmaplasty and may be performed with either the use of local or general anaesthesia. The recovery time is 2-3 days and the stitches are removed in 4 days. Mild bruising and swelling at the area will diminish within 2 weeks. The results are long lasting and almost permanent. Forehead lifts are an option for patients having a sagging brow or deep furrows between the eyes which creates a tired or angry look. This facial rejuvenation procedure gently elevates the brow (brow lift) and rejuvenates the upper lids and eyes. It also helps to minimize the “crow’s feet” in the corners of the eyes. In order to see what a forehead lift can do for the face, we can simply put our hands above the brows and outside the edges of the eyes and gently raise the skin upwards. For minor elevation the incisions are small, invisible and hidden inside the hairline. It can be performed as a single procedure or in combination with other rejuvenating procedures. After a medication which makes the patient relaxed, a painless and comfortable operation can be performed under local anaesthesia. Depending on the patient’s anxiety general anaesthesia can be used as well. After surgery a certain amount of swelling and bruising is experienced gradually resolving within the next 10-days. The sutures are usually removed in 7 days. If bandages have been used, they are removed the next day. For most patients the recovery time is approximately one week. Patients may return to work after 7-10 days and resume normal activities after 15 days. “The Queen of the plastic operations“ is a name which explains the meaning and the importance of the facelift procedure. If begun early in the aging process, patients can continue to look youthful with small quick recovery procedures of injectable fillers, mesotherapies, BOTOX or fat grafting. However, once aging has been progressed, the facelift procedure is indicated. The aim of a facelift procedure is to correct the looseness of the face, including the jaw area, neck and if necessary also the forehead. If the eyelids have to be corrected then this should take place at the same time. Facelift combination with fat grafting or laser skin resurfacing or chemical peeling or dermabrasion is sometimes recommended. The dermabration of the lips is a procedure that is very easy to perform, very effective and highly recommended to treat the wrinkles of the lips and the surrounding area. Wrinkles that are present elsewhere on the face, if they do not disappear by mild stretching of the skin, will probably persist after surgery and additional treatment will be required either by use of an injectable filler, skin resurfacing or BOTOX treatment. If the progressed looseness appears harmonious, the facelift procedure is especially indicated as complete and not divided. It means that by correcting a part of the face only, the rest of it is going to look strange. Facelift takes approximately 3 hours to complete and 1 day hospitalization is necessary. The whole procedure can be performed either under general, or local anesthesia after complete mental and physical calmness is achieved with the proper medication. Swelling and bruising should resolve within 7-10 days following treatment, and mild swelling should resolve within a month. Patients may return to work shortly after surgery and normal activity after 2-3weeks. Mild discomfort resolves within a week and mild numbness gradually within 1-2 months. We advise patients to realize that all the above are mild problems. The pain, which is the most important problem, is successfully treated and painless recovery can be experienced. Some problems, referred to in the literature, such as nerve injury or skin slough are of course serious. If the procedure is performed by a talented and skilled surgeon, serious complications and injuries are almost excluded. The results of a procedure, successfully performed, gradually change as the age progresses but the benefit to the patient can last forever! If we were to compare the operated and non-operated face after many years, we would realize that the operated face still looks better.